A lot of our episodes are geared more toward experienced designers who have been in business for several years. 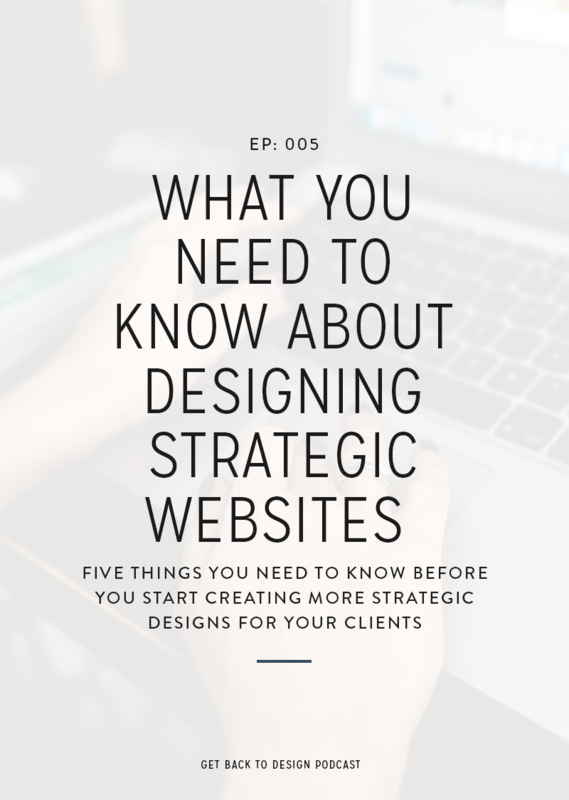 However, we know that there are a lot of people who are just starting their design businesses or are thinking about starting their business. So, we wanted to create an episode for you with things we think you should focus on when you’re just starting your business! 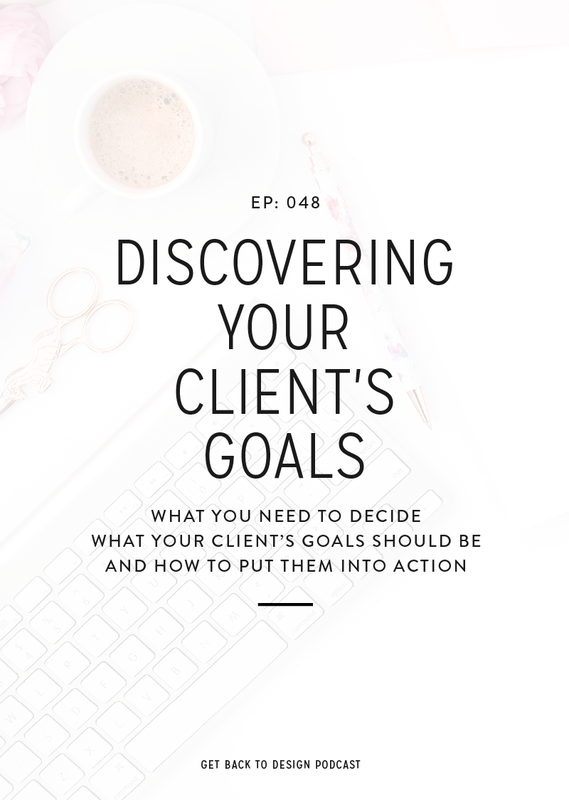 In this episode, we’re sharing 4 things that you should make a priority whether you’re just getting started now or are in your first couple of years of business to help establish your business and start booking clients. Unfortunately, the first thing you have to figure out when you’re starting your business is exactly what you’re going to offer and who you’ll market those services to. 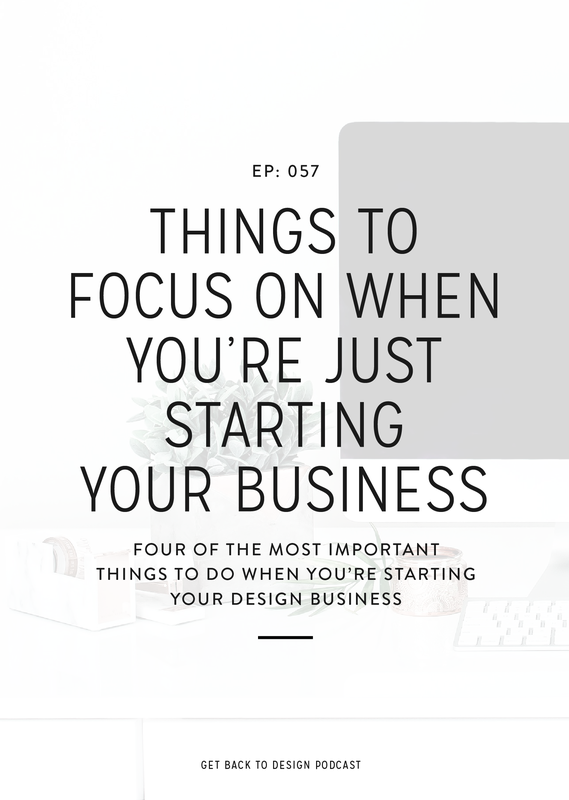 In episode 54, we talked about why it’s so important to niche your design business. If you start out with a specific niche, you’re going to stand out even more among your competition and be able to grow a little faster. While you’re deciding on what your services and target market will be, it’s also important to work out what your prices will be. When you’re just starting out, your prices may be a little lower than you’d like them to be. It’s okay to start low and then work your way up every 4-5 clients as you gain more experience and expertise. 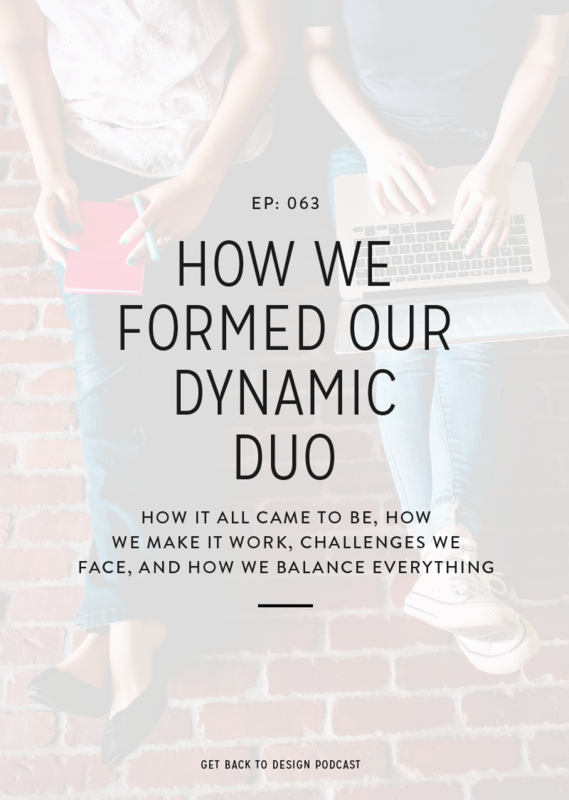 A few other things you’ll want to try to nail down in the first year or two of your business are your process and how you’ll manage your project. If you want anyone to be interested in booking you, then you have to show off your work in one way or another. Be sure that you’re giving a little background information about the project as well as decent sized graphics to view what you’ve created. If you don’t have any previous client work, that’s totally okay. Instead, share work you’ve done in school or personal projects you created on your own. We’ve both said in past episodes that we wouldn’t hire someone if we didn’t know anything about them, and this is true for a lot of people. When you’re creating your About page, be sure to share what you do and who you do it for. Also, be sure you share a headshot on this page, especially if you don’t have a photo of you anywhere else. Just like the Portfolio page, you need some sort of way for people to contact you. You may have your email listed, but it’s a great idea to also include a form on your site. 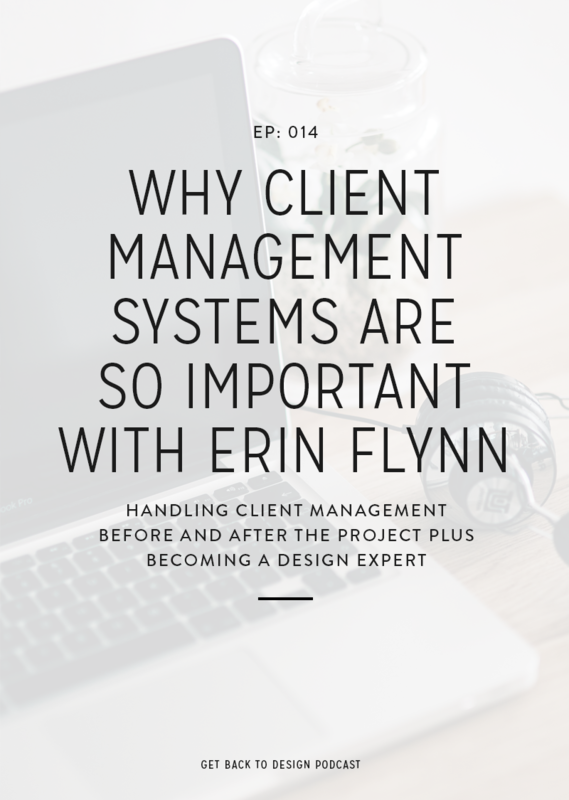 This gives you a chance to ask questions upfront about the project so you don’t potentially waste time on a client who isn’t the best fit. After you’ve built your website, you want to start getting yourself out there. The main way to do this is to share content consistently. This doesn’t necessarily mean you have to blog, but publishing blog posts is a great way to establish your expertise, share your work, and have a place to consistently share new things. If you don’t want to blog, at least make sure you’re on social media. Pinterest and Instagram are great for designers because they’re very visual. I can tell you without a doubt that when I don’t take the time to stay active online in someway, I can definitely tell the difference! Last but not least, you want to get out there by actually meeting people. This can be your peers (other designers), but it should also be with people in your target market. A good way to do this is to get active in Facebook groups, which we talked about in episode 27. I know Facebook groups aren’t as big as they used to be, but they’re still a great place to start building up your name. A couple of other ways you can network would be to do coffee chats, which helped Krista really establish her business when she was still getting started, and networking in person. Check out conferences that you’re interested in that your target market would also attend. The Conference Connection is a great resource when you’re looking up events you can attend! Once you’re launched, let us know!